This is the view from the top of the cable car ride. Johannes Oerlemans has led a group of people studying this glacier for a number of years (that was a good excuse to hold the conference here). 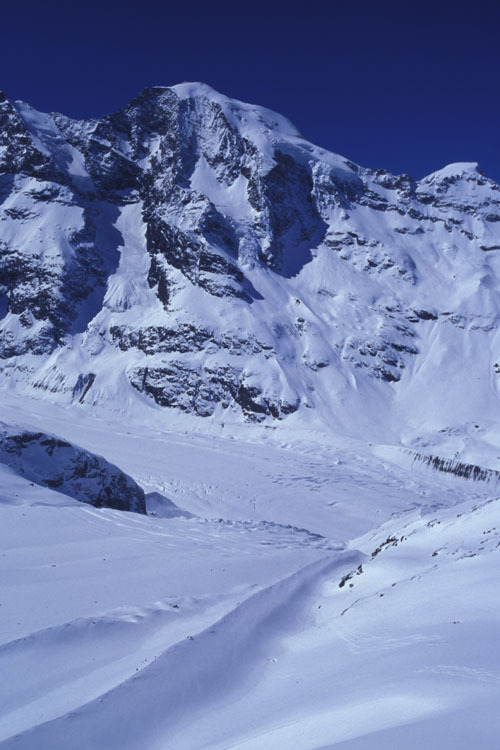 They have three weather stations on the glacier, one just off the left side on the picture in the foreground, one off the left of the picture on the distant lobe of the glacier, and one off the right side of the picture around the corner.